Autowerkes in Huntington Beach has been performing Mercedes auto repairs since 1980. Their clients living or working in Huntington Beach, Fountain Valley, Seal Beach, Newport Beach, Costa Mesa, and surrounding Orange County cities count on their unique team approach to Mercedes auto repair and service. Our trained master techs will give your Mercedes the personalized attention as if it was their own car. Our clients count on our integrity, auto repair quality and experience to accurately fix your Mercedes the first time. Having a reputation for the highest standards brings referrals from Los Angeles, Orange, and San Diego counties as well. Mercedes-Benz consistently looks for new ways to meet the needs of its drivers. With C-Class being the best-selling luxury car in America a few years running; it is essential to find an Automotive Shop they can trust to not only service their vehicle but to maintain its stellar performance. Autowerkes in Huntington Beach has been performing Mercedes auto repairs since 1983. With our experience, you can rely on the staff at Autowerkes to get the job finished. Today, these vehicles have become complex due to all the features buyers now want. Because of this complexity, we commit ourselves to ongoing education to stay current on all Mercedes auto repair methods. Having up to date auto repair service information, current factory scan tool software, and supporting diagnostic equipment, we are able to handle all your auto repair and service needs quickly and efficiently. For those wishing to create additional performance, our experience with the factory and aftermarket resources along with our participation in a worldwide technological information group will give your vehicle the boost in performance without sacrificing reliability. We know what parts and accessories work properly on your vehicle. Our shop also has the ability to fabricate and perform modifications to meet the special needs of our clients. 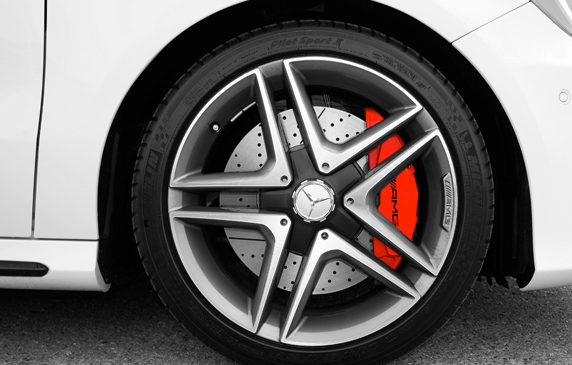 When it comes to your Mercedes Benz, your brake system is one of the most important parts of your vehicle. Having your Brakes regularly Serviced and inspected can increase the life of your brake system saving you money in the long run. Signs that your Mercedes Benz needs brake service can be a vibrating wheel when you brake, squeaky brakes, soft pedal, and brake fade. Please refer to our Services page for more details on these issues. Whether it is your Brake Pads, Rotors, Calipers, Brake, Dust boot, or ABS ( Anti-lock Braking System), Autowerkes can diagnose and repair your vehicle. While most vehicles braking system is now electrical, it is essential for your mechanic to be experienced in not only electrical repair but a specialist in Mercedes Benz. Visit AutoWerkes in Huntington Beach now for your Automotive needs. With 241 hp, the C 300 rushes to 60 in just 5.8 seconds. 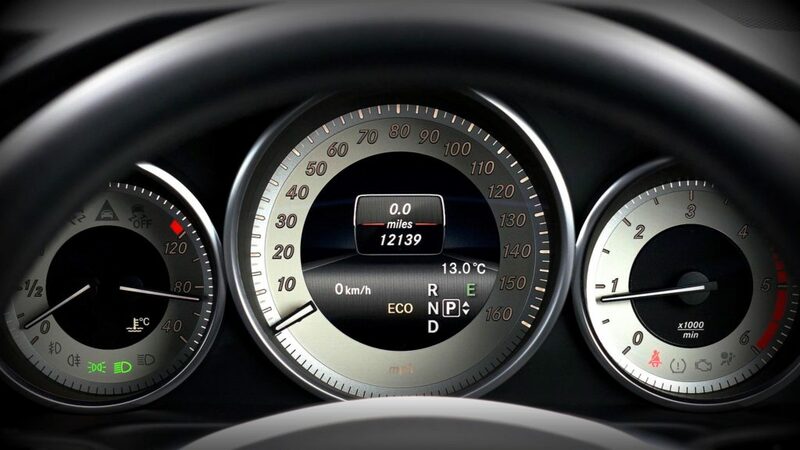 Its Direct Injection and multi-spark ignition can self-tune in milliseconds. The majority of C-Class versions have Rear-wheel drive (RWD) but some models are available with All-wheel drive (AWD). The equally quick C 350e turbo and plug-in power for 275 hp and up to 51 MPG. The C-Class sedan was the company’s entry-level model up until 1997 when Mercedes launched the A-Class. The A-Class is smaller, smoother, and rounder design more compact version of any Mercedes models. All models are powered by four-cylinder engines, with 1.4 L and 1.6 L petrol models, followed by two versions of a 1.7 L diesel engine (OM 668 series). In 1999, a larger 1.9 L petrol model was added, with the 2.1 the last W168 version launched in 2002. As we take a look at Mercedes upgraded engine, The AMG 6.2L V8 engine provides the C63 AMG with more horsepower and torque over direct rivals such as the Audi RS4 and BMW M3. Car and Driver tested the car in their December 2007 issue and recorded a 0–60 mph time of 3.9 seconds and a quarter-mile time of 12.3 seconds at 116 mph (187 km/h). This made the C63 AMG the quickest 4-door production sedan in the world at its debut. For Mercedes Drivers, having an Automotive Shop that understand the functions of the complex design of the engine is important. Autowerkes in Huntington Beach has been performing Mercedes auto repairs since 1983. With that amount of experience dealing with Mercedes, Autowerkes to get the job finished the first time. The servicing of the transmission is extremely important because replacing one is highly expensive. Having clean Transmission fluid in your Mercedes-Benz is essential for a smooth functioning system. At times, the problems experienced may have nothing to do with transmission fluid in the Mercedes. The transmissions electrical connector could possibly be leaking into the wiring harness of the car. That can possibly cause serious damage to the transmission control module, and could even result in having the harness and control module completely replaced. The trouble with the transmission valves may cause leaks. Other difficulties can include problems with the conductor plate and the shifter module causing a negative influence on the shifting ability of the transmission. At Autowerkes, we will be able to Diagnose and service the issue in a timely manner preventing further damage. With over 36 years of experience and a well-versed team, your Mercedes vehicle will be in good hands. Call us today with any of your questions (714) 842- 2277.